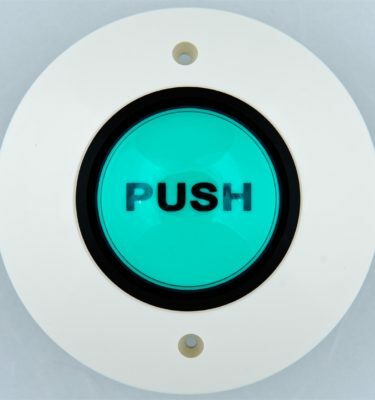 This momentary button helps eliminate having to stock dozens of push buttons. 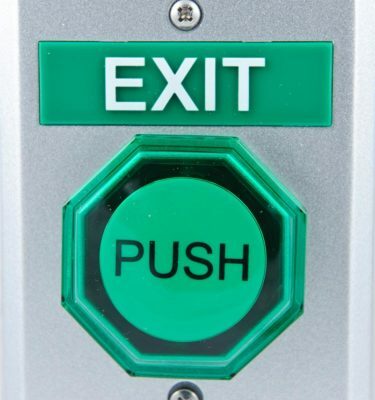 No longer waste precious time and money tracking down just the right button for a customer. Everything required to provide just what a customer wants is included in one convenient package. 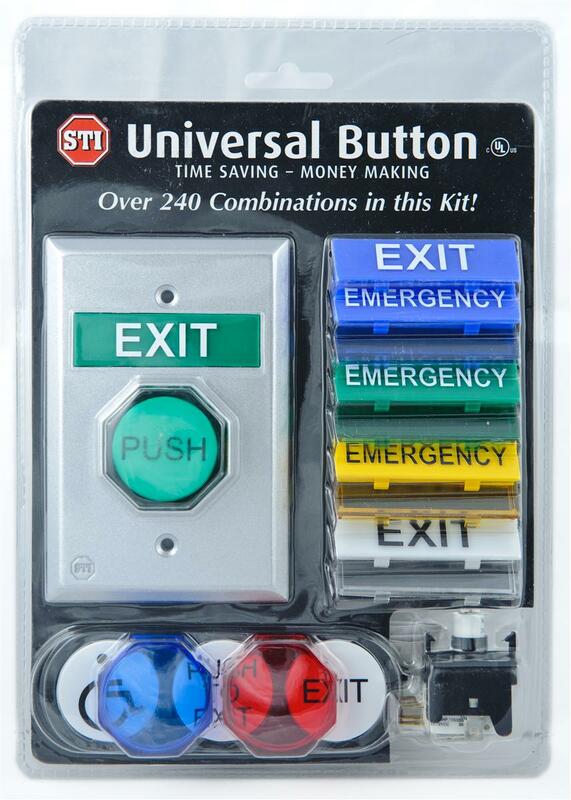 Ready to assemble out of box, Universal Button is easily installed within minutes right on site. 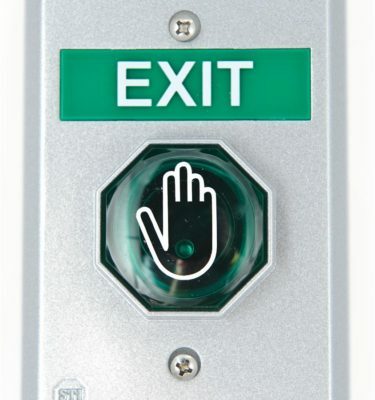 Five inserts for the button itself – EXIT, PUSH, PUSH TO EXIT, handicap symbol or blank. Plate messages inscribed with EXIT, EMERGENCY or blanks (allowing for custom labels). 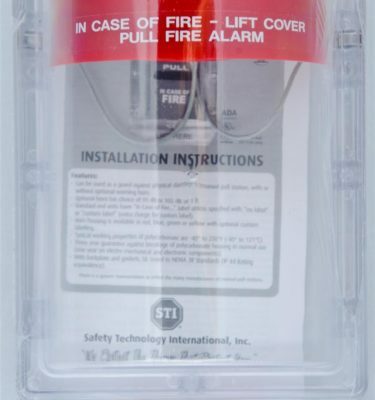 Button and message plates contructed of high impact polycarbonate.